DHS Sober Grad Nite will be holding an eCycle event at Denair High School on Sunday, January 28, 2018, from 9:00 a.m. to 12:00 p.m. Gather those old TV’s, CPUs, monitors, laptops, printers, cell phones, scanners, and copiers. Donating them is free and helps raise funds for activities for the students of Denair High School students. 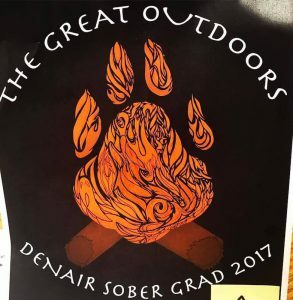 Your donations help Denair High School students safely celebrate on the night of their high school graduation. Q. What items are acceptable? A. Below are examples of acceptable and non-acceptable items. If you need further guidance, please contact us at denairsobergrad@gmail.com or call (209) 613-9228. Q. What do you do with the collected materials? A. It is picked up by a local recycler and we get paid pennies per pound. The pennies add up! Q. What about the any personal data that may be on my computer? A. The recycler destroys the components, such as hard drives that contain your personal data. DHS Sober Grad Nite will be holding an eCycle event at Denair High School on Sunday, September 24, 2017, from 9:00 a.m. to 12:00 p.m. Gather those old TV’s, CPUs, monitors, laptops, printers, cell phones, scanners, and copiers. Donating them is free and helps raise funds for activities for the students of Denair High School students. 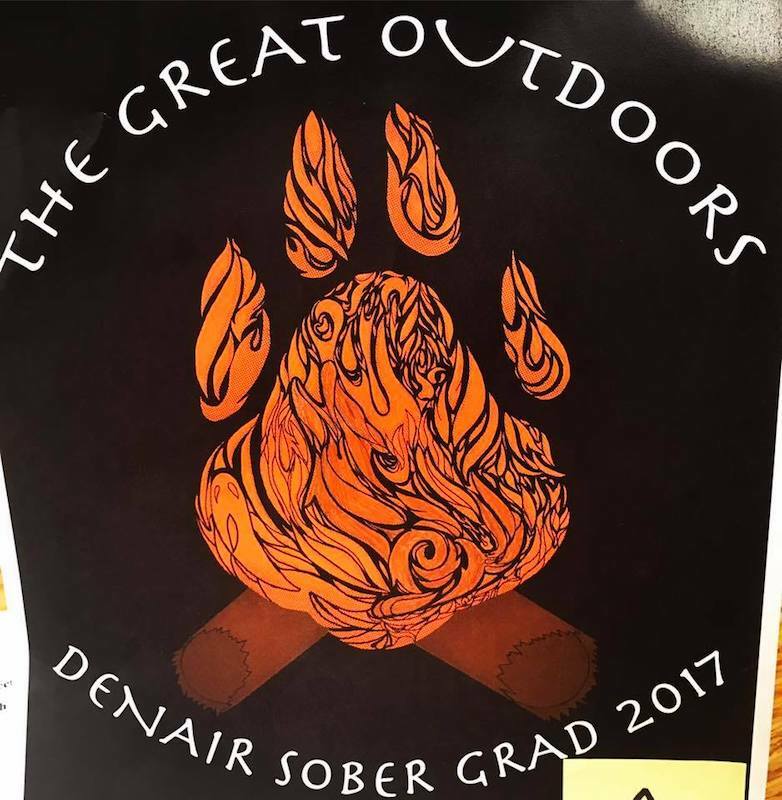 Denair Boosters Sober Grad Nite will be holding an eCycle event at Denair High School on Saturday, April 29, 2017, from 9:00 a.m. to 12:00 p.m. Gather those old TV’s, CPUs, monitors, laptops, printers, cell phones, scanners, and copiers. Donating them is free and helps raise funds for activities and equipment for the students of Denair High School students. Denair Education Foundation will be holding an eCycle event at Denair High School on Saturday, August 27, 2016, from 9:00 a.m. to 12:00 p.m. Gather those old TV’s, CPUs, monitors, laptops, printers, cell phones, scanners, and copiers. Donating them is free and helps raise funds for activities and equipment for the students of Denair Schools. Your donations help students go on field trips, buy new technology equipment, sponsor scholarships, and enrich music, art, and theater curriculum. Denair Education Foundation was established in 2005 to “enrich and improve the quality of the educational environment for the students of the Denair Unified School District.” The list is long of funded opportunities for the students. They are made possible through donations and our main e-cycle fundraiser. Thanks to all who have donated! You are helping Denair’s students and the environment! Please join us at a meeting – the second Tuesday of each month – in the DUSD Leadership Room and see how you can be a part of supporting our local schools! Denair Education Foundation will be holding an eCycle event at Denair High School on Saturday, January 30, 2016, from 9:00 a.m. to 12:00 p.m. 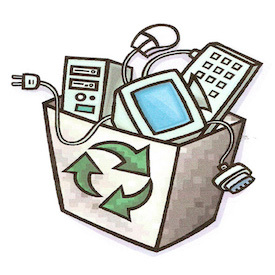 Gather those old TV’s, CPUs, monitors, laptops, printers, cell phones, scanners, and copiers. Donating them is free and helps raise funds for activities and equipment for the students of Denair Schools.